I was recently invited along to Wok On Inn at the Rocks to sample some of their dishes. Funnily enough I actually spent several months working at a friend’s company a few minutes’ walk away, so it was a good opportunity to visit one of my old haunts. Please note that I was served ‘half size’ dishes, so expect a larger size for yourself when you visit. Given this in mind I would expect that double sizes of the dishes I sampled would be quite massive and filling! I often judge an Asian restaurant off the quality of their pad thai and this one did not disappoint. Key elements of a good pad thai for me include how well the meat and noodles are cooked and level of sauciness. I’ve had one too many overly dry pad thais to ever go back! Wok on Inn ticked all my pad thai requirements with well cooked chicken that was not overcooked or dry, paired with silky noodles coated in just the right amount of sauce. With a fresh squeeze of lemon juice over the top, yes, that’s the way I like it! Wok on Inn source their ingredients for their Pad Thai directly from Thailand for that extra authentic flavour and I could really taste it! The Wok on Inn website describes this dish as “fresh rice sheet noodles stir fried in a savoury dark soy sauce with bok choy, bean sprouts and egg” which is pretty much exactly how the dish tasted. I’m generally used to pad si ew being stir fried with sweeter soy sauces than this one (such like kecap manis). It was an interesting type of pad si ew and definitely the least sweet one I have ever had, so it’s not what I would describe to be as a typical Pad Si Ew dish, but it was still quite a tasty dish with the slippery rice noodles, chicken and vegetables. I must admit part of me enjoyed a refreshing change from the usual Thai dishes which I find (at some establishments) can be sickeningly sweet from too much sugar in what is technically meant to be a savoury dish. These hokkien noodles had a good hit of flavour from the curry paste, but I must admit that after two bites I had to stop eating as it was waaay too spicy for me. I do like (mildly) spicy dishes, but anything more than that tends to knock me out. This one was marked three chillis on the menu, so wimps like me watch out for this one! This dish is definitely for chilli aficionados. 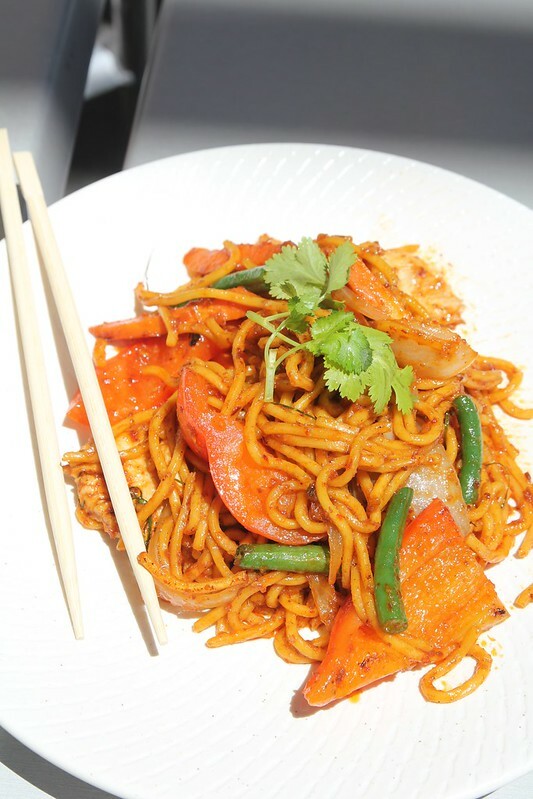 Quick, fresh Asian noodle dishes with a great variety of authentic options that won’t break the bank. Generous portions make for a decent sized meal. Perfect for city workers looking for their Asian fix for lunch. Outdoor seating means that heavy rain could make sitting outside a less than dry experience. Additionally, while dining I noticed there were quite a lot of pigeons around on the tables and chairs which couldn’t really be avoided. 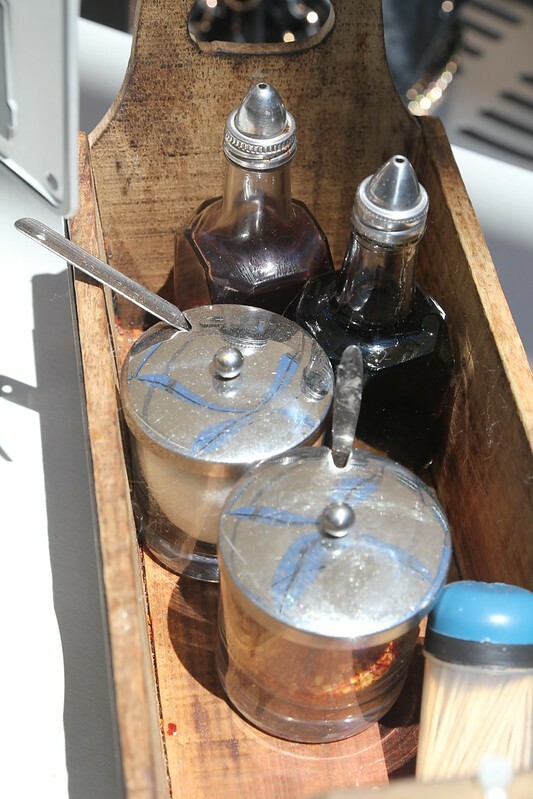 I would advise asking for a table wipe down before dining unless this sort of thing doesn’t bother you. Otherwise I reckon takeaway and heading back to your office for a quick lunch might be the best option. 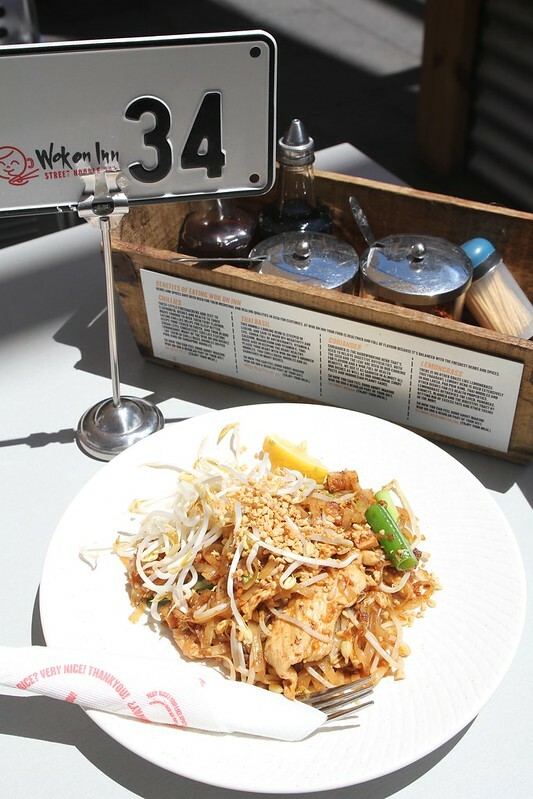 Wok on Inn is a short walk away from Circular Quay Station. Parking is available on streets, but expect to pay parking fees. Circular Quay also (unsurprisingly) gets quite full during evenings and weekends as well, so I would recommend public transport when visiting. Wanna keep in touch? Why not like me on Facebook by clicking here, or follow me on Twitter by clicking here. Cooking Crusade was invited to dine at Wok on Inn as a guest, but the opinions in this post are my own. pigeons always know where the food is and sadly the only way to get rid of them is to actually kill them. 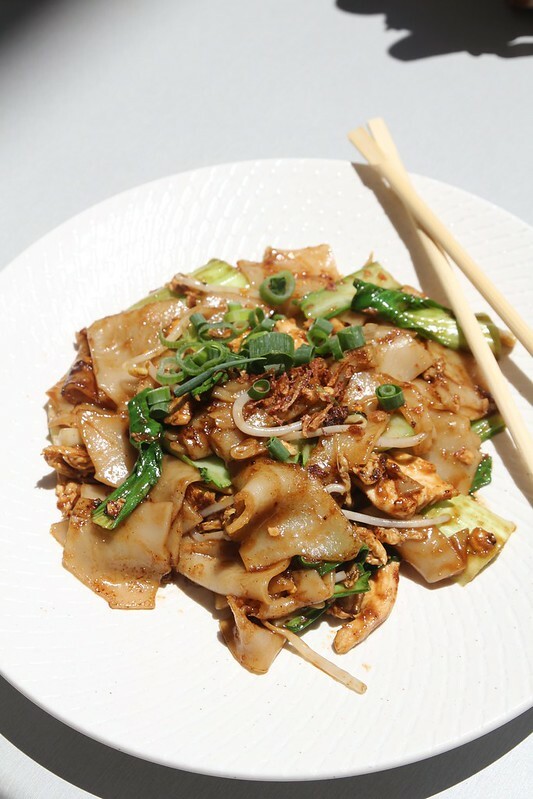 i’m keen to try their pad thai and pad see ew which are usually my go to dishes to compare. Those look like normal-sized portions to me! Good value but agree with Simon re: pigeons. im a sucker for pad thai, this looks amazing! I loved the Pad Thai here too, very fresh and great flavours. I didn’t get the chance to try the Pad See ew but may give it a try at one of their other locations as it along with Drunken Noodles are my faves! MMMM you got my craving for pad thai now girl! Love fried noodles! I love chilli and spice as well, so I’d definitely go for the three-chilli option.